Our community has 3,117 members, 231 online now. We’ve published 9,772 stories, shared 8,322 images, made 10,347 blog posts and written 121,506 forum posts. Leaning as far over as she dared, she peered under the lake’s gently rippling surface. She could see all the way to the silt and rock bottom but couldn’t discern a black rectangle protruding from it. The phone was gone. Vexed, she banged her fists on her thighs, cursing the moment she’d taken the phone from the safety of its waterproof pouch. Sighing, she slowly shook her head. It was a rhetorical question spawned of frustration and panic. She knew why. Her surroundings were to blame. 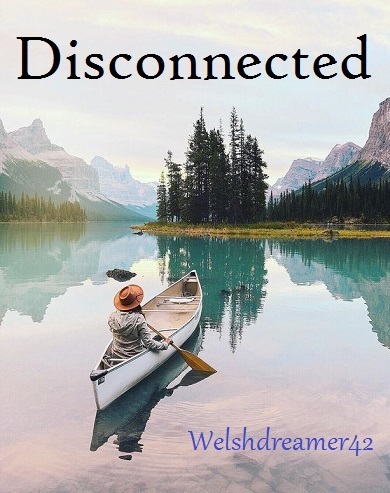 The view from her canoe was one of a twin world, above and below water: the magnificent jagged mountains framed water so calm it reflected the peaks and tree-lined slopes as perfectly as a mirror. And this strange, dual world was sealed inside a bubble of palest blue with patches of azure escaping the gauze of cirrus cloud. Denser cloud gathered around the bare, craggy summits as if blanketing their nakedness and the sun, diffused by the haze, skulked in the east. It was wild, beautiful. No houses, no roads, no people. Only the teased strands of fluffy vapour criss-crossing the sky scarred the pristine panorama, the unnatural straightness of the lines out of place. At least the planes were high enough not to be heard, the hushed tranquillity retained. She’d wanted to share that pure, serene splendour with her friends. She needed to share it. Instagram, Facebook, Twitter all beckoned and her heart fluttered at the thought of the ‘likes’ she’d get and the jealous comments from friends, friends of friends, strangers. Lucky you. Wish I was there. Her chosen wilderness was relatively close to civilisation so the signal was good enough for tweets, posts, conversation. She could connect with her friends and share her morning adventure as it unfolded. The email from work arrived as she was typing her first tweet. It beeped rudely, demanding attention, and a frown creased her brow when she saw who’d sent it. Work. What? Why was her boss bothering her on her day off? What was so urgent? Can’t it wait? She sucked air through her teeth. Probably not. Compelled to investigate, she opened the email – and at that precise moment, the phone slipped from her hands. She tried to save it, did her best, but it struck the side of the canoe and to her horror, slid overboard. She probed the water with an oar, testing the depth. It was so clear it looked shallow, but it evidently wasn’t. Still she contemplated diving in to search the lake bed with her hands. She plunged an arm into the water, swiftly retracting it and shaking the droplets from her skin. Freezing. She dismissed any idea of getting wetter. Besides, she thought, what’s the point? The phone would already be useless. A lump formed in her throat and a sudden wave of nausea made her head spin. My phone’s gone… really gone. Her life was on that phone: contact details, photos, banking apps, emails. All backed up, of course, but her laptop was on her desk at home, a two hour drive away. Her heart sank and her stomach felt heavy, as if she’d swallowed great mouthfuls of that freezing water. “I don’t even know the time,” she mumbled, grabbing her wrist to feel for the watch she knew she wasn’t wearing. She gripped the oar, drew deep breaths. Then she scanned around, the canoe rocking as she twisted. Not a soul in sight. No-one on the shore, no canoes appearing from the far side of the lake. She was alone, completely alone, and disconnected from the world. Securing the oar, she slumped backward and faced to the sun. She let the rays heat her skin and the gentlest of breezes dry the tears that stung her eyes. Rousing, she plunged a hand in the water and scooped some onto her face. She shook her head and, removing her hat, pushed back her hair. She dipped the oar into the water, watching the ripples as she rowed. Then she lifted her gaze once more to the scenery around her: the jagged mountains, like a row of giant’s teeth, the mirror lake, the vast sky with its criss-crossed vapour trails and smattering of cloud. A bird she didn’t recognise circled high overhead, and geese called from a distant corner of the lake. She paddled the canoe towards the east where the sun climbed higher, growing stronger, melting the haze. She watched the sky, and its reflection, deepen to the richest, clearest blue while the sun’s heat and her exertions warmed her muscles, gradually unknotting them. Her heart rate steadied. Anxiety fading with every stroke of the oar, a smile tugged at her lips. Incredible, she thought as she absorbed the exquisite beauty surrounding her. So peaceful. So quiet. Her smile widened. Wasn’t this why she’d come here? She did wonder what the email from work was about, it nagged at her, but as she paddled further, it seemed less and less important. And the worry about replacing her phone, the lost photo opportunities and the missed ‘likes’, also faded into insignificance. A new thought occurred to her: without her phone she couldn’t contact the world but, equally, the world couldn’t contact her. In the middle of the lake, she lifted the oar, stowed it safely and let the canoe drift. She was alone. Offline. At peace.